Standing at 296.3 meters (972 ft), Yokohama Landmark Tower was the tallest building in Japan when it opened in 1993. In 2012 it was surpassed by Osaka's Abeno Harukas (300 meters/984 ft), and including Tokyo Skytree (634 meters/2,080 ft) and Tokyo Tower (333 meters/1,091 ft), it's now Japan's fourth-tallest structure. 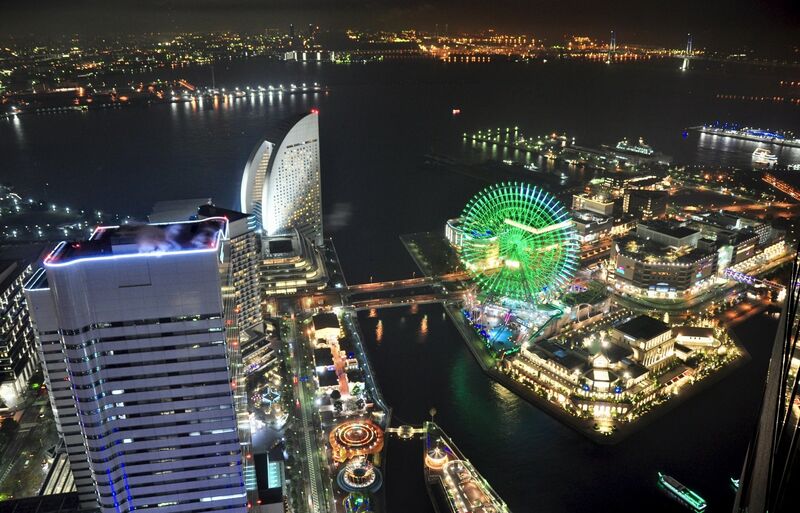 The tower is located in Yokohama's glitzy Minato Mirai 21 district, its lower 48 floors filled with shops, restaurants and offices. Situated at a height of 273 meters (896 ft), the 69th floor Sky Garden observatory offers clear views of the city, Yokohama Bay Bridge and even Mount Fuji on a good day. Super-fast elevators—the fastest in the world when completed, and still the fastest in Japan—will whisk you all the way to the top in just 40 seconds! 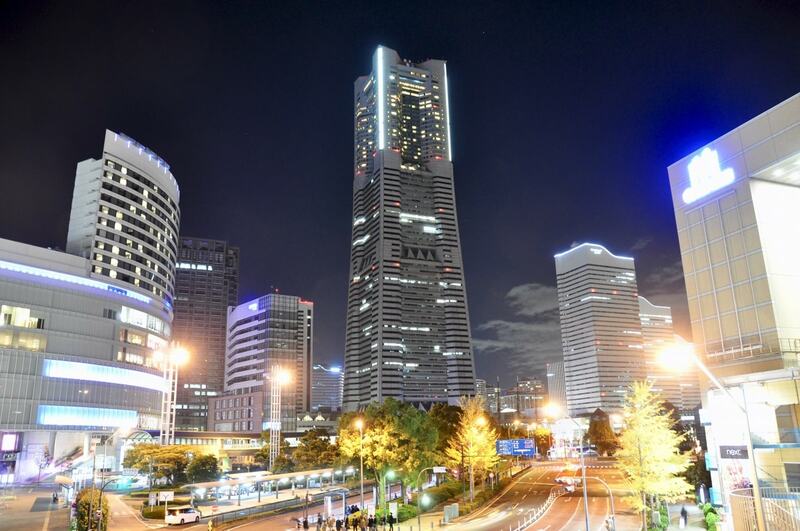 The five-star Yokohama Royal Park Hotel occupies the 49th to 70th floors of Yokohama Landmark Tower. Opened along with the building in 1993, the hotel offers a total of 603 rooms to guests prepared to pay for a superlative view. Guests can one-up tourists visiting the Garden Observatory by heading to the 70th-floor Sky Lounge restaurant for a view one story higher—though, to be honest, the crowd of diners tends to get in the way of the scenery!